In the last two decades, several promising engineered nanomaterials that combine therapeutic features and imaging functionalities have been presented, but very few have arrived on the market. The purpose of this book is to collect and comprehensively discuss the advances in this current and exciting topic in order to promote and enhance its growth. In the first part, a general introduction about the main features of both organic and inorganic nanomaterials is provided. Then, the most promising and innovative applications for cancer treatment and diagnostic are introduced. In the second part, an analysis of the nanomaterials in the market for healthcare applications is presented. The issue of unwanted accumulation of metals in organisms after the designed action is then discussed. 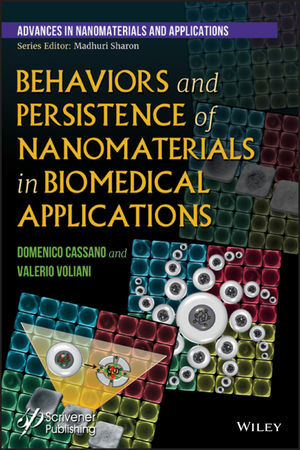 Finally, the most recent progresses in the design of nanomaterials that are able to escape from organisms after the selected action are comprehensively described, and the perspectives of this exciting field provided. Domenico Cassano obtained his MSc in physics in 2014 and he is currently a PhD student in Biophysical Sciences at Scuola Normale Superiore  Center for Nanotechnology Innovation, Istituto Italiano di Tecnologia (Pisa, Italy). His PhD project focuses on the development of novel disassembling nano-architectures for combined chemo/radiotherapy. The main aim of his project is to enable the translation of metal nanoparticles to the clinics, which is still hampered by the issue of persistence of metals in the organisms. Valerio Voliani received his PhD in Biophysics from Scuola Normale Superiore in 2006. He is currently a Researcher at the Center for Nanotechnology Innovation, Istituto Italiano di Tecnologia (Pisa, Italy). His efforts are devoted in filling the gap between inorganic nanomaterials and clinical applications. By applying the ultrasmall-in-nano approach he has developed the passion fruit-like nano-architectures: nature-inspired inorganic nanoparticles that jointly combine theranostic efficacy with excretion of the building blocks from organism. He is the recipient of an individual AIRC grant, and he is now working on innovative theranostics for neoplasms treatment. He was recognized by the International Association of Advanced Materials (IAAM) Scientist medal in 2016.